Okay let’s say everyone just likes to showoff, or is it praise God? lol. Sunday Mba is one of the few Nigerian footballers to announce a thing like this. 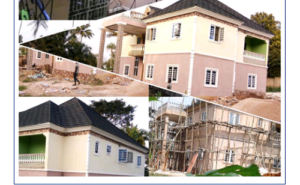 He took to his social media page to tell fans about his just completed house in Abia State saying it will officially be opened on the last day of the year.